All sort of weird coincidences and concatenations can happen when you start writing fiction. "Art Imitates Nature" is a truism, and sure, fiction writers very often pay strict attention to accurate correspondences with "reality" in the parts that do draw on "the real world." There's also verisimilitude, when you try to give the feeling of reality to a wholly invented world. But in odd cases the nature you imitated turns out to be nature you never knowingly heard about. My good mate Lillian Stewart Carl is currently writing a series of murder and other mysteries featuring US expatriate reporter Jean Fairbairn, now living in Edinburgh, and Scottish ex-DCI and now heritage security operative, Alasdair Cameron. "America's exile and Scotland’s finest on the trail of all-too-living legends," as Lillian describes it, such legends often being uncomfortably unlike the haze of Scottish "romantic" mythology. I quote, "I can’t say I’ve ever heard that name before, but okay. Search-and-replace and off we go." As Lillian said, scroll down to the third photo, a woman cleaning a skeleton, and see what her name is. Such has happened before to Lillian, with the fourth Fairbairn/Cameron book The Charm Stone, set in US colonial Williamsburg. Quote from Lillian: "The Charm Stone features a couple of conspiracy theorists who believe the old rumor that Francis Bacon’s paper are hidden in Colonial Williamsburg and who also believe the Stuart dynasty was involved in a plot by Freemasons to run the world. In the course of the book, Jean Fairbairn visits an imaginary site near Williamsburg that was once called Duckwitch Pond but which, over the years, has become the more palatable Dunwich Pond. She’s reminded of the story of the drowned village of Dunwich off the coast of England. Just as I was finishing the book, an issue of Archaeology Magazine arrived with an article on work being done on Dunwich in England by an archaeologist named Stuart Bacon." Something of the sort most recently happened to me in the work-in-progress reading phase of Concepcion's story, "The Honour of the Ferrocarril." I had invented a gadget for a steam locomotive that I thought wd. actually be impossible. A gadget, let me add, that plays a major role in the crisis of the story. Drafts finished, I sent one off to an amazing friend of mine, currently a Critical Care physician who reads half-a-dozen languages, and with whom I've had a startling rapport over book-swapping. Not once but several times one of us has mentioned a - we thought - little-known book, only to have the other either have read, own, or be about to order and/or read, exactly that title. in the last scene, I had to use my imagination however the idea of the [gadget] was right on the pitch. As you might guess, "gob-smacked" didn't approach my reaction. What, I hadn't done a hand-waving impossibility? One of these things really existed? Oh, yes, but that was only the lesser half of the shock. The rest was the type of engine I had put the gadget on. 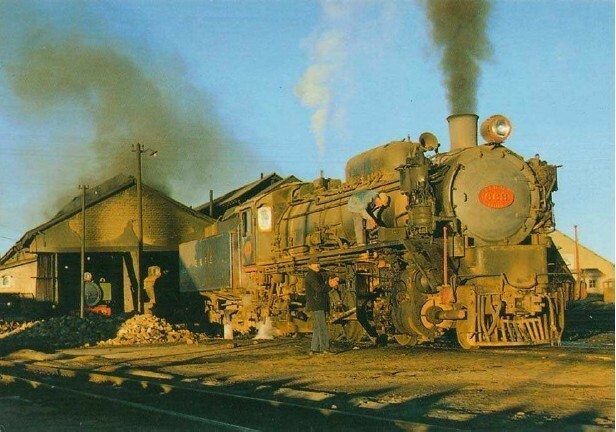 There were several companies selling steam-locomotives to South America at the time. I had picked one, but changed because another's company name sounded better. (And I had modelled the whole partly on a photo of a steam loco up in Bolivia, battered but still extant in 1977.) Imagine the shock of discovering that not only did the gadget exist, it had actually been built for the brand of engine I finally chose. Moreover, that company made the type of engine I'd seen in the pic. And crowning touch, my friend had actually ridden on a train that carried one of these things! My favourite if somewhat different weird connection happened wayhay back in the 1970s, when I was writing a long and eventually abandoned historical novel on the Second Punic War. Endeavouring to describe what you'd hear when the preliminary skirmishes of a major ancient battle moved into the main phase - when the heavy infantry collided - I used the simile "as if a peal of thunder drowned a cat-fight." Ha, very unlikely, thought I. Until a year later, camped for the night in a leaky Turkish hotel somewhere near Troy, I was dragging my bed out from under a drip during a thunderstorm when I heard? Yep. Catfight on the nearby tiles, and then, drowning it out, one mighty celestial crack.